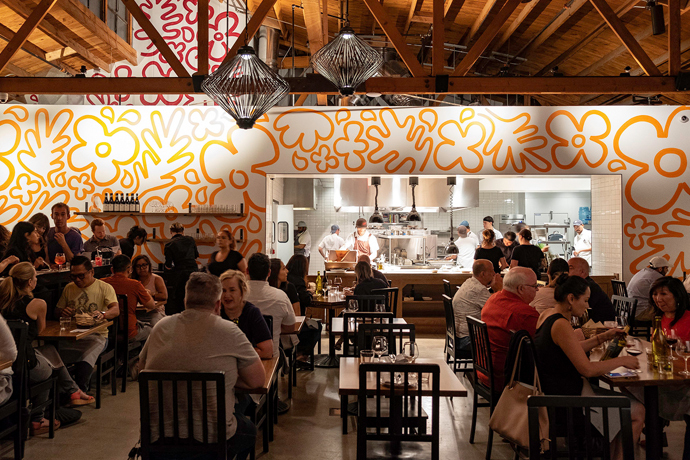 While you were distracted with Bates Motel or whatever, a new Beverly Hills sushi spot called Nozawa Bar suddenly came into existence—and it’s kind of a huge deal. Below: only the five most important facts. 1. It’s a secret sushi restaurant... behind another sushi restaurant. 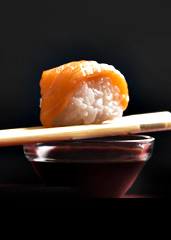 You’ll walk into what appears to be another Sugarfish—that handful of sushi joints from the man behind the late, great Sushi Nozawa. Only at this one... there’s a discreet back room in the corner. Go there. 3. Two lunch seatings, two dinner seatings. If you’re late, you’re late, and you’ve missed a course. So... don’t be late. Meet your date for a pre-drink at the Montage, right across the street. Even if your “date” is, like, Katzenberg. 4. There’s no menu. You’re all getting the omakase experience, each course served simultaneously to everyone—near-endless plates of nigiri and sushi based entirely on what’s good at the markets that day. It inspires a certain sense of camaraderie, which, always important in a meal. 5. You... need to get a reservation. That’s pretty much it on that one.